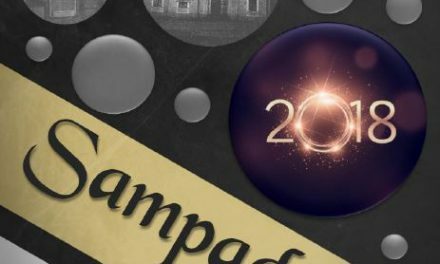 ಎಲ್ಲರಿಗೂ ಕನ್ನಡ ರಾಜ್ಯೋತ್ಸವದ ಶುಭಾಶಯಗಳು.. Sampada is back with yet another edition for you. 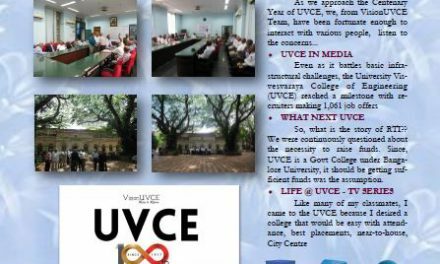 This October, UVCE was a buzz with activities and the centre stage was taken by namma UVCE Jaathre 2017. The event saw huge crowd of students being engulfed by the activities and competitions. 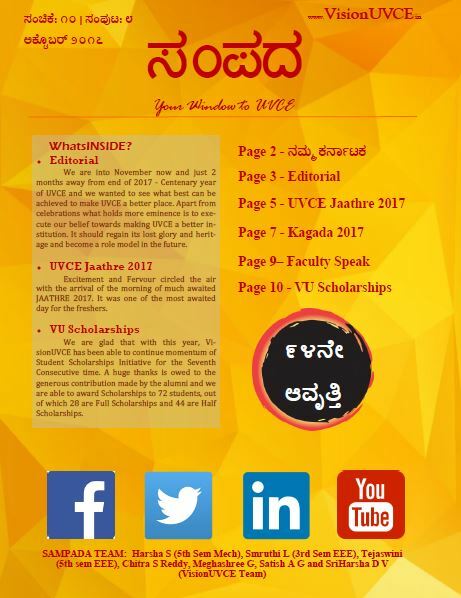 Jaathre is an event that provides a platforms for students to nurture their varied interest under various students clubs and othe ravailable opportunities. This is an amazing event of students working for the skillset fostering of other students. 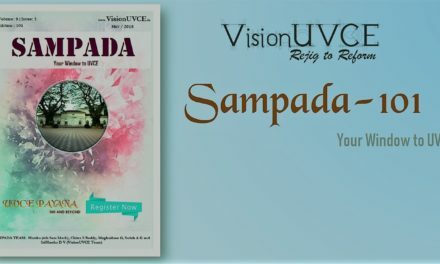 So therefore team Sampada has decided to theme this edition on UVCE Jaathre 2017 with all the details so you dont miss out on anything! Find inside more excerpts on the Kagada 2017, VU scholarships and more! Dont forget to checkout our editorial as we have something interesting and really special in the pipeline for you.